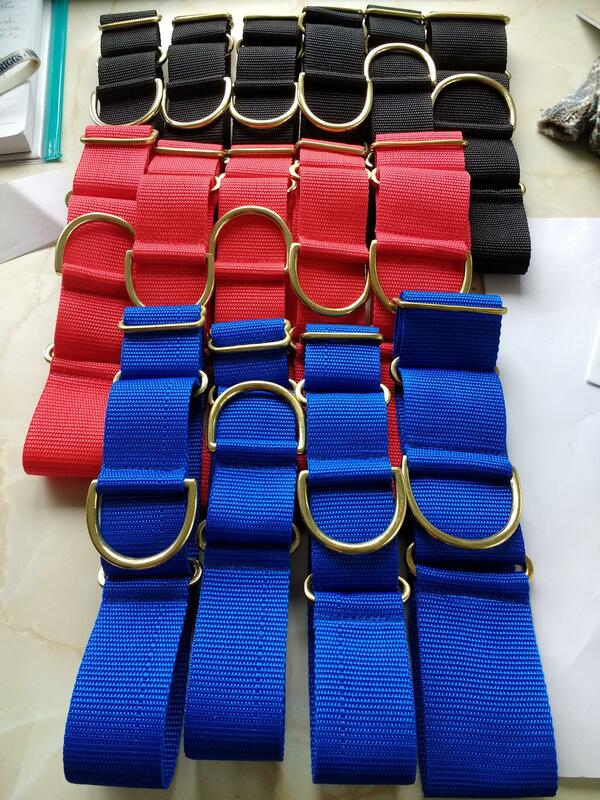 Plain webbing collars. Designed for Sighthounds in a martingale style. Three colours and two widths. 12" will fit Whippets and small Lurchers. Please only choose 40mm for width of webbing. 14" small Greyhounds and medium Lurchers. Dolly and hounds Limpet, Scampi & Mrs Doyle welcome you!